& from Belgium / België / Belgique including Oud-Heverlee. Madonna presents herself as "a performer in a landscape where she creates and brings her ideas to life or death." Steven Klein's intention was to work with Madonna as a performance artist, creating a situation where she could respond directly to the camera without constraint. The project is not about photography of celebrity, but about the person and the passions beneath the surface. Klein sees Madonna as a messenger, asking people to wake up and confront the dehumanizing forces in the contemporary world. Rather than the packaged glamour that one might expect from the collaboration of a pop star and a top fashion photographer, the work is raw and menacing. The spirit is apocalyptic. Madonna and Steven Klein enter into a subconscious realm of primitive fears and desires. The work has a religious passion and a sexual charge. The theatricality increases with the intensity of the emotions. Madonna's third coffee table book sold for for $350 each. 260 pages of 4 color images in a sealed, numbered edition of only 1000 copies. Hand-bound and printed in Italy. 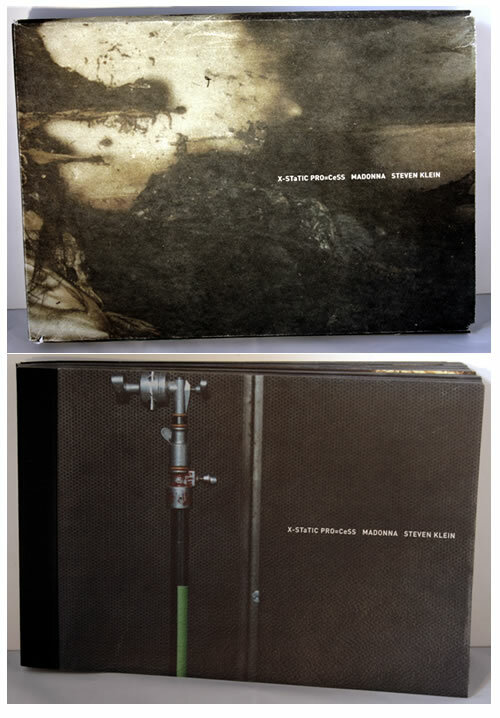 Product Information Madonna X-Static Proc=ess - Autographed by Steven Klein Italy book.